The most recent model of the BBJ include configurations similar on the Boeing 777, 787, and 747. It has the same airframe with 737-700 with added elements from the 737-800 but with various changes to accommodate for private jet service. 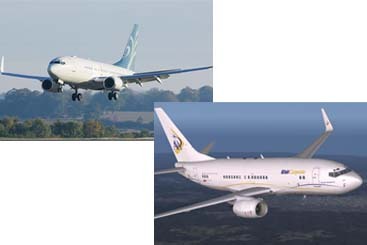 Another versions like the BBJ2 and BBJ3 are derived from the 737-800 and 737-900ER series, respectively. After Boeing launch the BBJ, Airbus tag along with the introduction of their own Airbus ACJ based from their A319 commercial airframe. The competitors for this market even though on a smaller market are the Embraer Lineage, Bombardier Global Express, and the Gulfstream G550.